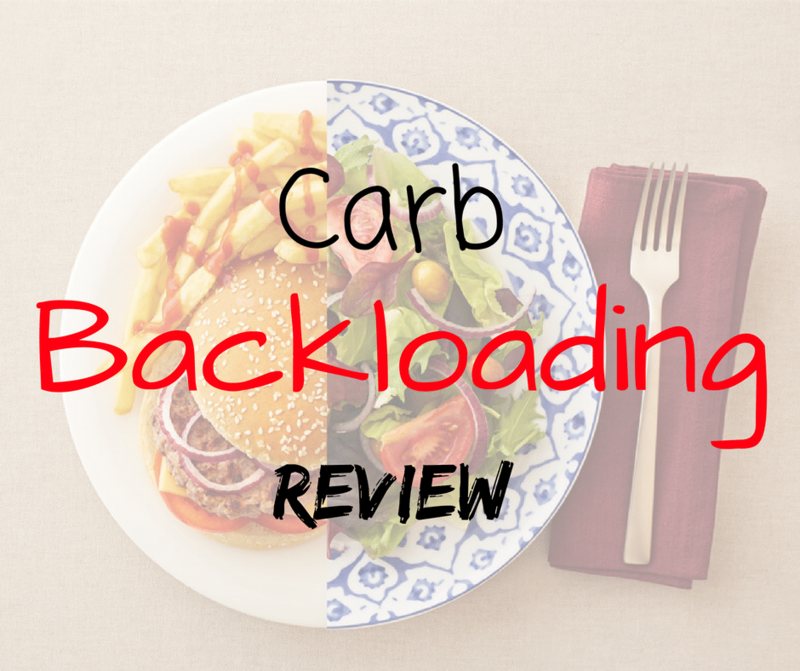 Whats the deal with Carb Backloading? There has been much excitement about this new style of dieting in recent time. The method is pretty interesting though. In carb backloading, you can actually indulge yourself in the fantasy of your carb delicacies that you otherwise would have avoided. Carb Backloading draws its advantage from the insulin level variations that take place routinely in muscle and fat cells, as well as the sensitivity induced in your insulin by your workout regime in your muscle cells. Know that hacking into your body system is not possible; hence all you can do is manipulate your diet and your training so that it helps you to promote our body structure without messing up your energy balance. Depleting your body’s nutrition can be harmful in the long haul. According to Food and Nutrition Board of the Institute of Medicine, your average diet should consist of 40 to 65 percent of calorie consumption and 20 to 35 percent of fat. The nutritionist John Kiefer is the pioneer of this idea. The concept of burning fat while you feast on your high carb diet is very appealing. Carb backloading helps in getting lean muscular body through work out and a carb back loading meal plan which will burn your fat while storing your carb intake for energy generation and formation of muscle tissues. A low card regular diet plan drains out the necessary amount of carbohydrate required for your physical activities. Due to low carb level in your body, while you workout it consumes the muscle tissues as well. This leads to weight loss along with signs of fatigue, weakness and upset metabolism. Carb backloading supplies the required amount of carbohydrates in your body that works as energy storage for your training and routine work while deliberately reducing fat and promoting muscle tissues. It allows you to eat foods that you like and aids in muscle building and losing avoidable fat at the same time, and the most effective way of gaining these is by maintaining a drop in calories and proper training regime instead of trying to hack your body’s normal phenomena. Carb backloading works to promote fat loss by keeping your insulin level low throughout the day. Proper protein intake is sufficient to keep you on low carb. Insulin majorly helps in lipolysis, a process in which the energy stored in fat cells are consumed, and the fat loss that is not required that takes place due to low insulin is covered up when you consume high carb meal post work out. Your body uses the energy produced by your calorie intake immediately and any calorie that is unused is stored as fat. When you train, your body exhausts the energy created and turns towards the fat storage for additional consumption. Hence your calorie intake remains balanced. Insulin – Enhanced insulin sensitivity in your body. In simple words, when we eat our body secretes insulin, that Aids in the absorption of micronutrients (proteins, carbohydrates and fat) from our food. After the absorption, insulin carries the sugar away from our bloodstream and takes it to the liver, where it is stores in the form of Glycogen that will help to release glucose in our body when during requirement. The only thing that you should keep an eye on is consuming too much and too often can lead us to be resistant to insulin’s effects, and poor insulin sensitivity creates risks of cardio-vascular diseases and cancer as well, additionally making it tougher to lose the unwanted body fat. Eating less frequently and avoiding making your body prone to insulin surges is one way to tackle the situation, as your diet will release insulin at certain intervals that increases the sensitivity to insulin which in return helps us to lose body fat, promotes blood flow to muscle tissues and dramatically reduces the impact of an unhealthy diet routine. Growth Hormones – when you workout, your body releases an elixir of growth hormones to enhance your muscle formation. Man steroid and anabolic hormones are released by your body including insulin, cortisol, etc. Cortisol – It is a steroid hormone. It is secreted through our adrenal glands. This hormone is triggered when your body is undergoing a stress or is at a loss of calorie. It regulates your calorie loss and promotes in the procedure of bone formation. It generates glucose from the glycogen stored primarily in your liver and aids in the distribution of proteins, fat and carbohydrates in your body. Leptin – This is the hormone responsible for the stimulation of your hunger and cravings. It promotes metabolism for better bodily functions as well as works is accountable for the feeling of satiety after you eat. When you are on low carbs, there is a constant deprivation of sugar level in your body that results in carb consumption. Your body gets used to it and your feeling of satiety gets reduced resulting in consuming more than it requires. Serotonin – Ever realized that when we consume something sweet our mood brightens up? This happens due to the release of Serotonin. This hormone also gets triggered by the intake of calorie. The “Feel Good” hormone. Try to keep the secretion of this hormone under control by consuming lower calories as this can also lead to over-eating. Testosterone – When it comes to steroid hormones, the first that comes to mind is Testosterone. It belongs to the androgenic group. It is although primarily generated by respective reproductive organs of both sexes in some quantities but it is also produced in our adrenal glands. Testosterone promotes bone formation and also enhances the process of muscle growth. It has been used for ages to enhance bones and muscles. It is an anabolic hormone. Anabolic hormone promotes protein in muscle cells that in return increases the musculature of your body. The basic principle of carb back loading is you use your bodily mechanisms to your benefit by not consuming carbs when your body is more capable to store them as fat that generally happens in the morning. Instead of that, you consume your required carbs when your body is able to store it as glycogen as energy storage later during the day. Try to consume lighter during the morning (which may consist of avoiding your breakfast) and also at early afternoon hours and eat heavy at night. You either consume negligible or no carbs until after your training session, which is generally later in the evening. Your carb intake starts with your meal after your training and it will continue throughout the evening. More glucose storage in muscle tissues will help in having increased stamina and hence you can work out harder. The negative point is, more storage of glucose in fat cells will result in fat storage in your body. In carb back loading, the post-workout criteria is important: you take advantage of strength training later during your schedule to exhaust glycogen stored in your body and promote the insulin sensitivity in the muscle cells but avoiding the fat cells, so when you then start consuming carbohydrates, your body aids to shuttle them in your muscle cells thereby increasing muscle growth and ignore your fat cells. This theory of carb backloading is also backed up by many scientific studies according to Kiefer. Many of us are scared when we think of hitting the gym and follow a diet plan as most of the diet plans are more about starving yourself. Carb Backloading debunks the myths regarding to dieting and training. Consumption of excessive pills and body building supplements can harm you in the long run and can even stress your hormones. Losing weight or gaining muscles is achieved by maintaining a healthy training to diet relationship. Consumption of right amount of micronutrients at the right time of the day will aid you in achieving your dream body. Knowing what you eat is very important as it will further impact your training and your bodily functions. Despite the impressive roster of studies cited to back up the theory of carb backloading, it’s just that until proven effective in randomized controlled trials. Sometimes things just don’t pan out in vivo as they appear on paper, and correlations in epidemiological research are not causations. The first experiment compared the effects of eating 70% of daily calories in the morning against consumption of calories in the evening on body structure. In this study 10 people were kept on a calorie restricted diet of six days a week and the group that consumed more calories in the evening lost more weight in comparison to the one that consumed carbs in the morning. Although the same size was quite small but we can see that a calorie maintained diet along with intensive exercise is enough for losing weight and gaining muscles. The second study was published in 2011, and comprised of a 6-month program where Israeli police officers consumed about 1,500 calories per day. It consisted of two groups. One group consumed carb in the morning and the other in evening. It was noticed that the evening group lost more fat comparatively and achieved higher levels of satisfaction. These studies prove that consumption of improvised amount of nutrients in the evening will help you in losing more fat and less energy as well as help in gaining muscles. This primary reason behind this strategy is that when you consume sugary or starchy eatables that contain high levels of sugar, your body triggers the release of Insulin that will help to bring the sugar level in your body back to normal. Consuming such diet after strenuous workout is best since the glycogen will drive it straight to the muscle cells for restoration. Whereas taking in high calories at other time of the day will not give you improved results than ordinary dieting. There is a scientific explanation that carbs have an effect on your nervous system. Without carbs, your nervous system’s response to stress is on overdrive. It lets you to steer clear and makes your reactions quicker, and can make your body more efficient to enhance muscle fibers. This is the first major part of your carb backloading. Our diet primarily contains micronutrients and micro-minerals. Micronutrients play a major role in your diet chart and hence your energy formation, fat storage and muscle generation revolves around these. Protein – Gym trainers swear by protein intake. After all it is the most important nutrient. We will be using other two micronutrients to save protein from burning. Your protein intake is responsible for your weight and muscles. This process focuses on losing fat and not muscles. But if you are having one gram of protein per pound of your body weight, you are over consuming proteins. Your body would not be able to process that extra calorie and it will end up turning into fat. Your goal is to maintain a balance between these nutrients by manipulating your calorie intake. Carbohydrates – Even if you are having high-protein diets for losing your weight, you still need carbohydrates and fat at a certain level in your body for muscle growth. Carbs are utilized as energy generators for your body during your workouts. If you are having a low storage of carbs, your body will start using protein as a source of fuel instead of fat, and your muscle growth will be hampered. For a perfect diet for muscle growth, your protein, carb and fat intake should be in a proportionate. As mentioned earlier, it is also very vital for the production of the steroid anabolic hormone, Testosterone. Fat – The last micronutrient that you also need for muscle growth is fat. You won’t be able to grow your body as you wanted if your fat consisting diet is negligibly low. When you are improvising your sugar intake, who let your body burn the fat, restore your glycogen level, transfer the protein to your muscle cell and promote your metabolism. If there is no fat, your body will use carbs as your fuel and since you will be on a low carb diet, it will turn to your proteins as a fuel. The protein that should have been regulated to the muscle cells to promote growth is getting burnt for energy conservation. Hence, make sure you consume enough calories to avoid burning your proteins. Your training routine will work as a complement to your carb intake. Strength training and cardio burns out high amount of energy making them perfect for your higher carb days. These kinds of trainings will consume your excess calorie and hence burn fat and will boost your metabolism. That in return will regulate your proteins resulting in muscle enhancement. Avoid these exercises on your low carb days because when your body is already low on calories, burning more than it is consuming will lead to a negative energy balance. This whole regime revolves around the energy balance. Let’s say, the proportion of energy you consume to the amount you release is your energy balance. If your are consuming more and releasing less than you are having a positive energy balance, if not, you need to recheck your diet. But again the word of caution, do not over consume calories as it will again lead to fat. Maintaining a healthy balance should be your goal. Your food will determine your journey for muscle growth. WHAT YOU EAT and WHEN YOU EAT is of vital importance. Here is a list of few supplements that you would like to include in your diet chart. During your carb back loading, you will be having low carb and high carb days to regulate your flow of insulin. Complex carbs are absolutely healthy during these days. Complex carbs are those carbs that do not simply disintegrate to create glucose. They break down further in your liver and form glycogen that gets stored for future consumption during your strength trainings. Similarly there are regular protein and complex protein diets as well. They disintegrate into proteins and amino acids which further get integrated to produce energy and regulate glucose in our body. Some of the complex carbs are Brown Rice, Oatmeal, Baked Potatoes, Whole grains, Legumes, Fruits, etc. These are some of the examples of the kind of food that you should be looking at. Scientifically carbs are responsible for retention of water in your body and therefore a large amount of energy and water gets depleted when you cut down on your carb consumption largely. If you are also practicing no carb days once in a week, make sure you consume a whole lot of proteins majorly from vegetables, fruits, whole grains and lean meat. Avoid starchy vegetables as it contains high amount of unsaturated fat. Before you jump to any conclusion and make a rough estimate of how much you should consume, gets your numbers correct on a carb calculator. We will show you later. Gaining some weight while trying to lose is depressing but don’t worry, it’s the water. A sudden increase in weight takes place primarily due to water. This generally happens when your carb intake is higher than other carb days. As I have told earlier that carbs to a huge extent is responsible for the water content of your body, therefore when you consume higher calories on your high carb days, they break down to form water and energy. The ratio of carbs to water roughly stands to 1:4, i.e., every pound of carbohydrate adds to almost 4 pounds of water. Although gaining weight doesn’t sound good but it will be gone soon! While you will be back with low calorie or no calorie days, you tend to lose the weight due to water retention quite soon. Therefore cutting down on your calories can even lead you to weakened metabolism or even loss of muscle cells. Low fat processed eatables – while you are trying to lose fat, there will be many products claiming that they are fat free. These products however contain some amount of saturated fat that can be harmful for your regime. Trans-fat eatables – Any kind of hydrogenated product will result in unwanted fat deposit around your body. Sugary or starchy eatables– Eatables that contain high amount of sugar or starch for example potatoes, candies, wafers, etc. should be avoided since you might end up consuming more than you need. White flour – white flour also contains higher calorie than you might actually require. Inclusion of whole grains can be more effective. Highly processed food or junk food– any food item that gives you a notion of being factory made is harmful for you. It slows your metabolism as well as contains avoidable fat. Meat – Consumption of meat increases your regular protein intake. The amount of carbs present in this is also high. Lamb, pork, chicken, beef, etc. Word of caution, avoid frozen food materials of any kind. Eat fresh. Eggs – Eggs are rich in omega 3 acids and proteins. It aids in muscle enhancement and metabolism. Fish – Another supplement that is good for your overall health. Consume Salmon, Trout and other varieties of fish available. Try to consume naturally caught fish rather than the one that is already processed. Processing strips the food from its nutrients. Dairy Products – Milk is a great source of calcium as well as protein and vital supplements. Milk products also help you to consume enough carb in a much healthy manner. Cottage cheese, cheese, yogurt, curd and many other dairy products are healthier sources. Healthy low saturated fat oil – Coconut oil, Cod liver oil, olive oil are one of the many healthy options to go for if you want to use low fat saturated oil. Vegetables and Fruits – consumption of fruit intake is also a healthy way of boosting for diet chart. Fruits like strawberries, apples, etc help in boosting up your vitamins. Leafy vegetables are also great sources of dietary supplements. The carb back loading meal plan is a completely individual wise devised diet chart and has been scientifically proven to curb fat for burning and carbs for energy storage. The diet induced sugar fluctuations will train your body to burn and store energy. This will not only affect your body musculature but will also boost your metabolism. While you manipulate your carb intake, make sure that you do not consume less or more. These following criteria will help you to estimate how much you need to consume carbs on a regular basis. These criteria will help you to exactly calculate according to your present body features. Remember that any approximation you do without correct calculation may hamper your perfect body wish. No matter how you decide to tweak your chart, never consume less than 50 calories on any day since that could result in extreme fatigue and loss of concentration. The reason of all this meal plans and trainings is to lose fat and not weight. And that is why the carb back loading meal plan is also necessary. Tweak with your meal or include cheat days only when you have trained your body the way you wanted. If you give in to the indulgence of carb, this will only result in fat gain. This will also affect your insulin level, cholesterol level and cause hormonal imbalances. Hence there are many major factors that you should be familiar with as they all play very important roles and all of them are interrelated. At Medical College of Wisconsin, University of Arizona, and the experts at Harvard University all have agreed to the process that “only a low carb diet will not reduce fat”. In a normal low carb diet you do not gain enough carbs to burn fat rather you end up burning even the protein in your body and hence loss in weight. It also changes your metabolism. In the case of protein metabolism, this is further disintegrated to produce amino acids and which further breaks down to create energy. Wherein, in case of protein synthesis, it is a process of creating protein and nurturing your muscle cells. Therefore to gain more muscles, you must strengthen your protein synthesis and make sure your muscle cells get the most. When you work out your muscles, they tear and it is a normal phenomenon. Protein intake aids in curing your muscle pain. Once you follow a certain diet, your body changes according to it. Hence when you do hard work out, your body increases your synthesis and creates new cells, resulting in more muscles. Another faulty situation is of over accumulation of fat. If your intake is much higher than your release of energy, then your body won’t be able to process all that carb and will turn into fat. An average diet is designed in a manner that you are bound to lose weight if you are always low on carbs. Sounds fairly fine until you realize that the loss in weight is due to low water, depleted energy and consumed muscle tissues since your body couldn’t find enough fat to burn. Remember that if you are very low on carbs, when you train your body, after exhausting its fat and carb stores it glides towards the protein present in your muscle tissues and consumes them too. The reason why people who quit gym tend to gain weight faster is that when you resume your natural diet, all the weight that it gains is majorly fat since your body starts to rejuvenate itself. Your calorie consumption rises due to your enhanced metabolism during regular diet and you put on weight. Long periods of low carb diet can sometimes trigger hormones responsible for binge eating. This consumption of excess calorie results in fat accumulation that in turn can boost your cholesterol level higher causing several diseases. Understand the concept that starving or over eating, both can result in fat accumulation once you spring back to normal diet. You starve and you let your body burn your muscles for energy. If you over consume, you will end up putting on weight primarily consisting of fat. Hence calculate your carbs well and avoid any risk. Here is where Carb back loading will come to your rescue. It the carb intake in your body making your body follow a certain instruction. Due to low carb and high carb days, you manipulate your metabolism in such a manner than you get a leaner body much faster and more effectively. You will have enough carbs and proteins in your diet that your body will have sufficient amount of water and energy to burn instead of tissues. Warm up a little: If you have never trained your body before, a little calibration will help you to train your body to eat the fat for energy and store carbs as fuel storage. Follow a very low carb diet (do not dip below 50 calories any day) for 10 days straight. This will help your body to get used to the idea of burning fat and storing carbs. Enjoy the Treat: After you are done training your body for fat burning, start your high carbs. As we have already pointed out the best high carb and low carb food products, consuming them will be much better than factory produced low carb products. After staying on a relatively low carb, restoration of your carb storage is necessary before your body turns to the protein. Boosting your metabolism and giving your body a break is good idea. The best day for high carb night is the day when you strength train. Therefore try to build your routine such that your high training days match with your high carb nights. Don’t worry about gaining weight. Several studies show that because you were on a continuous low carb diet, gaining fat on a high carb night in not possible. Time for Your Muscle Growth: After you have gained control over your routine and have trained your body well, it is time to get leaner fast. Much faster than your average low carb diet. Go back to your low carb days; however, this time you do not need to have a 10 day low carb diet. You can opt for a 7 day diet chart where you can indulge into one carb night every week. You can also increase your carb intake on every day basis, e.g., 50 carbs to 80 carbs per day. This will get stored in your muscle cells. Do not twist your routine until you are sure of your body: This is where you need to focus the most to achieve your desired results. Make sure that you maintain at least 10 percent of fat in your body. Failure in maintaining that can cause your muscle tissues to get consumed and result in weight loss. It will also stress your body to consume more than it usually does. Hence if your weight loss falls below 10 percent, have two carb nights per week with three days in between. After getting a closer look at all the aspects, we think that you can now understand why carb back loading is the best diet to follow. Although, make sure that you add heavy workout to your schedule. If you do strength trainings and use weight that is almost 70% or more of your body weight, Carb Back Loading can give you amazing results. The best part is that whether you are looking for fat loss or muscle gain, carb back loading can help you gain both the results. As explained earlier everything revolves around the maintenance of positive energy balance. If you could match your need to your plan then it can give you much better result than average dieting. Although we have already provided ideal diet charts but if you include our own ingredients make sure that you do not upset your carb intake. If your consumption of carb gets disrupted, your body will either be getting low carbs resulting in weight loss or more than enough carbs resulting in fat gain. Follow Carb Back Loading and achieve the body that You Always Wanted!! Carb backloading meal plan and review. Can you really workout and stuff yourself with carbs? You should take this post down. You’re information is not correct. You outline in some areas the exact opposite of what you should be doing, especially with carbs. Read the book again. 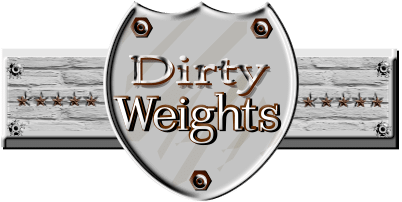 Copyright 2018 @ Dirty Weights | DirtyWeights.com is a participant in the Amazon Services LLC Associates Program, an affiliate advertising program designed to provide a means for sites to earn advertising fees by advertising and linking to Amazon.com.